The Roan Scholars Leadership Program at ETSU has selected eight high school seniors to join the Roan Class of 2023, including Dobyns-Bennett senior Sam Garcia. 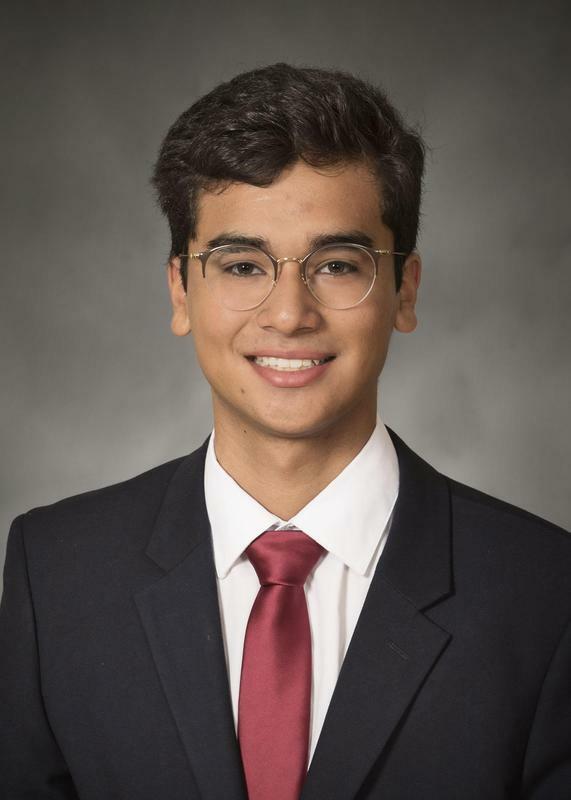 Published on February 1, 2019 at 2:25 p.m.
KINGSPORT, Tenn. – The Roan Scholars Leadership Program at East Tennessee State University has selected eight high school seniors to join the Roan Class of 2023, including Dobyns-Bennett High School senior Sam Garcia. Garcia, the son of Thais Olmos was born in Venezuela and recently organized a drive to send needed supplies to that country, including food, medicine, and toiletries. He is a varsity soccer player, having played all four years and earning an award for ‘most improved.’ Passionate about chemistry and not one to shy away from the most difficult classes offered, he hopes to become a pharmacist. "We are very proud of all of the hard work Sam has put forth that led to such a remarkable accomplishment," said Dobyns-Bennett High School Principal Dr. Chris Hampton. "I have no doubt he will serve as an excellent ambassador for ETSU, much like he has for Dobyns-Bennett. We wish him much luck at success at the next level." “This young man [Sam], who is willing to roll up his sleeves and work alongside others, is an example of one who understands commitment and leadership,” says Wendy Wolfe, school counselor at Dobyns-Bennett High School. The Roan Scholars Leadership Program empowers students to be leaders of excellence who will positively impact the ETSU campus, the Appalachian Highlands, and the world. The Roan offers a comprehensive four-year program of out-of-the-classroom experiences that includes a financial award for tuition and fees, room and board, as well as books and supplies. The Roan, which is funded primarily by private donations, was established in 1997 by Louis H. Gump. For more information about the program, contact the Roan Scholars office at (423) 439.7677 or RoanScholars@etsu.edu or visit www.RoanScholars.org.